Addressing a gathering of captains of domestic fertiliser industry and international experts, Union Minister for Chemicals and Fertilisers Ananth Kumar said the remaining backlog of fertilizer subsidy to the tune of Rs 23 thousand crore would be cleared by March, before the onset of DBT across India. “Don’t clap for me yet”, he said to an enthusiastic gathering. “When I took over there was a backlog of Rs 44,000 and I assure you that I would personally meet the Finance Minister and related officials to ensure that the arrears are cleared before an new era of DBT slated from April 1,2018 is launched”, Kumar underlined. 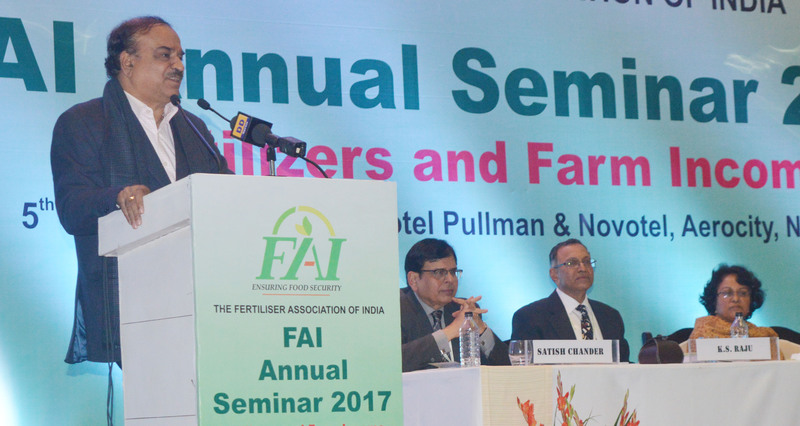 Union Minister was addressing the 53rd Annual function of Fertilizer Association of India (FAI) on Tuesday in Delhi. Lauding the theme of the seminar “Fertilizer and farm income”, Kumar also assured on other two demands of the sector-Fixed Price Revision and continued relaxation on energy norms. Likening the gathering to the Fertilzer Kumbh mela of India, Kumar congratulated Modi govt for making fertilizer sector a happening one. “For decades there was no separate Fertilizer Ministry and here comes Narendrabhai Modi who mentions urea not only from the ramparts of Red fort but also from the Medisson Square in USA”, he added. Minister drew sharp comparison between fertilizer era before 2014 and time after that when NDA govt took over at unshackled many bottlenecks plaguing the sector. Neem coating led to availability of urea 24×7 as gas price pooling made life easy for many players, Kumar underlined. He thanked Prime Minister profusely for helping him overcome the complicated pricing such as RAC, cut off, super cut off, etc and come up with a New Urea Policy in 2015. 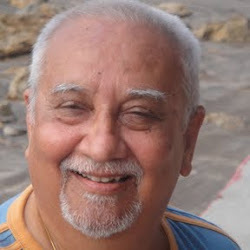 “Cut this out and make it simple”, was the words used by Narendrabhai, Kumar recalled. “Now IFFCO MD Dr U S Awasthi informs me that because of neem-coating the menace of nilgai is gone in Uttar Pradesh and this is an additional benefit”, said the Minister. He also patted himself for making many policy-decisions of UPA govt workable such as Uniform Freight Policy of 2008. “ I have asked that if by 180 days state got does not issue certificate it would be deemed as passed”, Kumar stated. Kumar also distributed FAI Excellence Awards on the occasion. 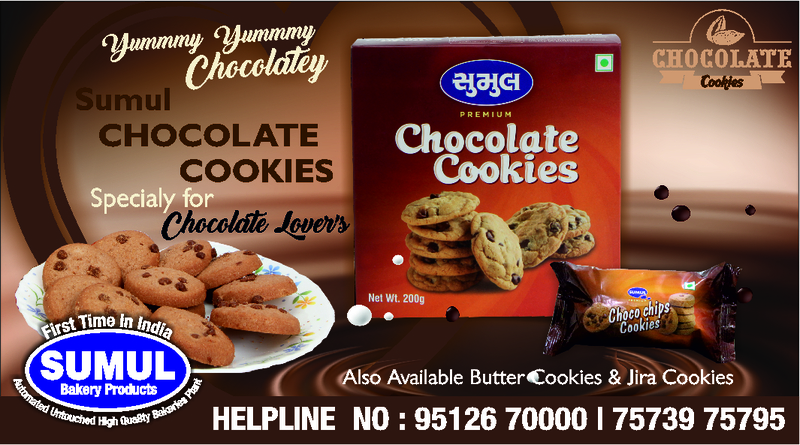 Several cooperatives including IFFCO and Kribhco bagged these awards in many categories. He also distributed two new awards Dr US Awasthi lifetime achievement award in fertilizer and agriculture sectors respectively. Earlier, Satish Chandra, DG FAI welcomed the guest and FAI Chairman K S Raju put before the Minister concerns of the sector. 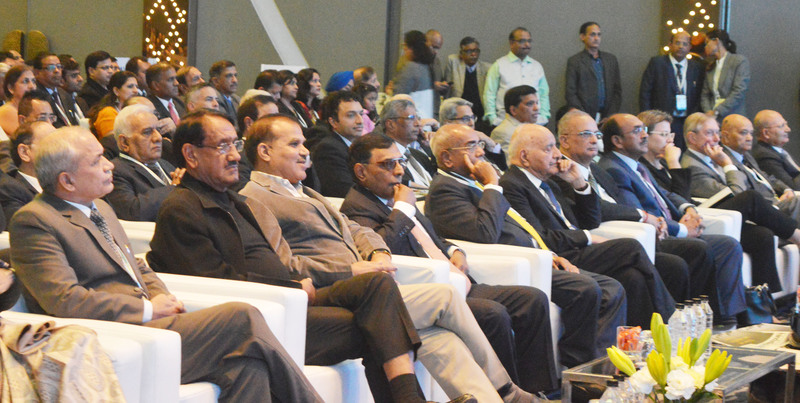 “It is a great occasion as besides the Minister, three top Secretaries in Govt of India are present today”, Raju said. FAI Vice-Chairman Manoj Mishra proposed a vote of thanks.